StatsD – Installation and integration with Graphite | Eureka! 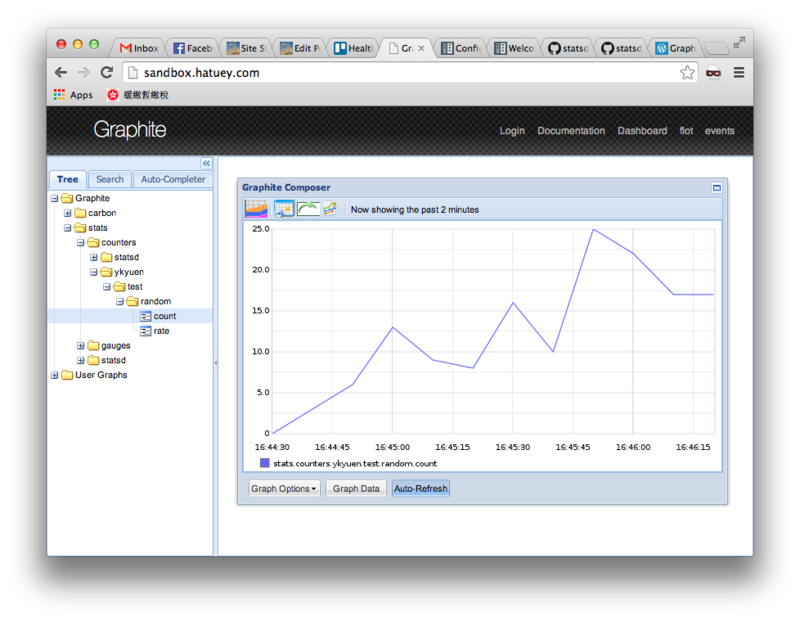 Compared to Graphite, installing StatsD server is just a piece of cake. 1. Install Node.js. For better management on Node.js, you could consider using nvm. 2. Checkout the StatsD project on GitHub. 3. Copy the exampleConfig.js and name it to whatever you like and edit it as follow. 4. Edit the Graphite storage-schemas.conf to define the schema for those metrics with namespace which are start with stats. The file size of the .wsp under this retention is about 6.2MB. 5. Since we have different retentions period, we need to create the storage-aggregation.conf to define the rules for the data downsampling. 6. Restart the carbon-cache.py and start the StatsD server. 7. There are 2 ways to test your StatsD setup. The first one is to use Netcat but i find that not all the data written to the StatsD listening port could be received. 8. Another way is to use the StatsD example client which i didn’t experience any data loss. Go to <statsd root>/examples and send some testing data to The StatsD server. You can keep sending and the default StatsD flush rate is 10s which should be larger or equal to the minimum retention period defined in storage-schemas.conf. 8. Check it out on your graphite-web portal.